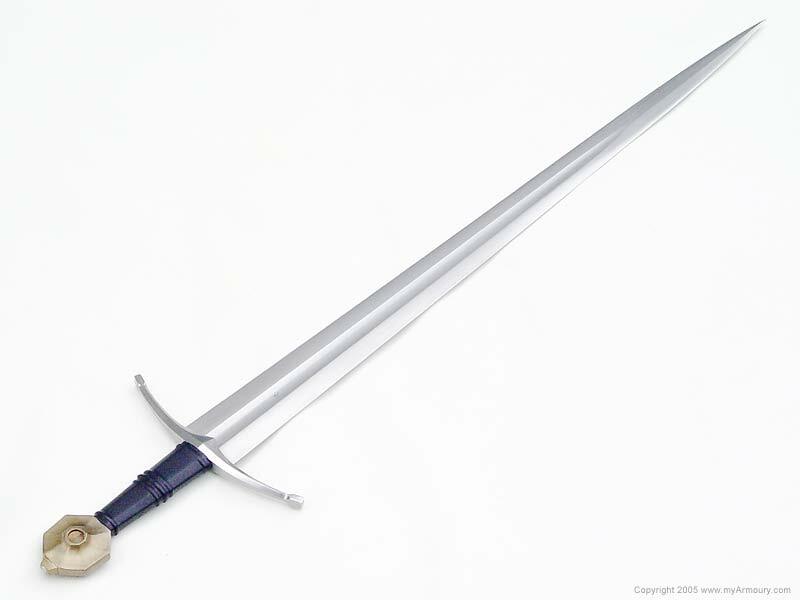 The Prince is an Oakeshott Type XVI sword, featuring a distinctive fuller extending two-thirds the length of the blade. The remainder of the 1075 steel blade, from the fuller to tip, is a stiff diamond section that ends in an awl-shaped point. 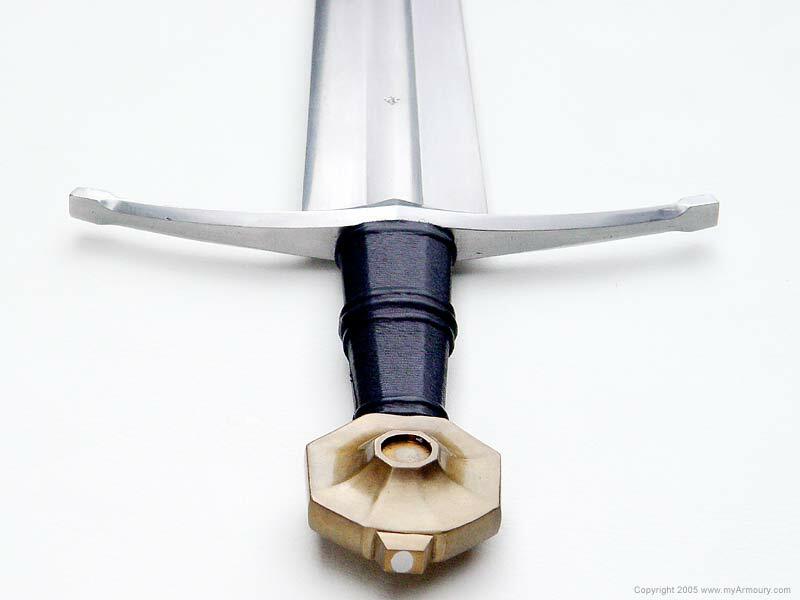 This type was developed as a response to the reinforced mail armour of the early 14th century. 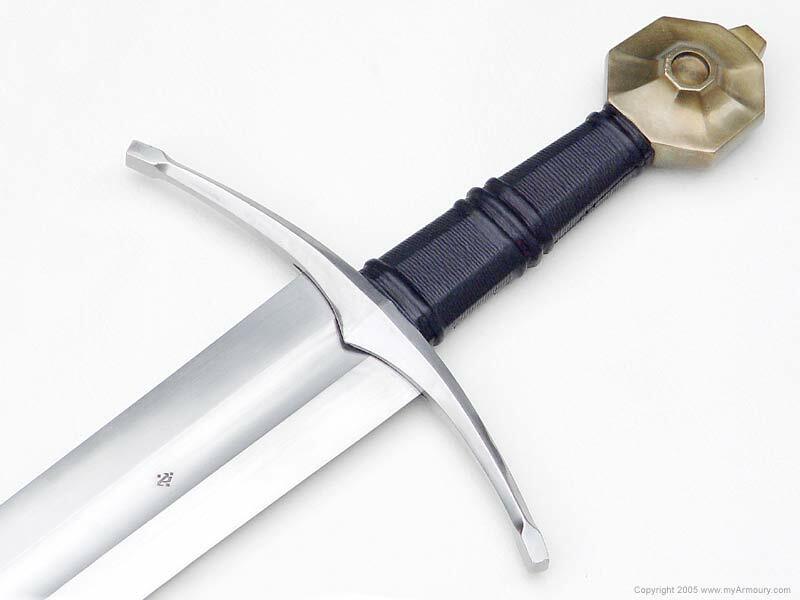 It was broad enough to provide suitable cutting, but with the reinforced point it also made an efficient thrusting weapon. 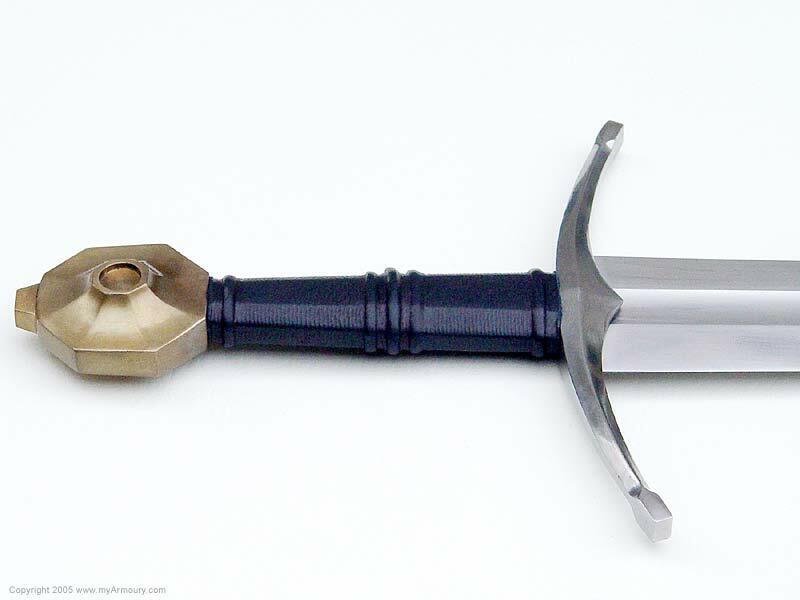 This particular model has a bronze faceted octagonal form of Type K pommel and a curved Style 1 cross. 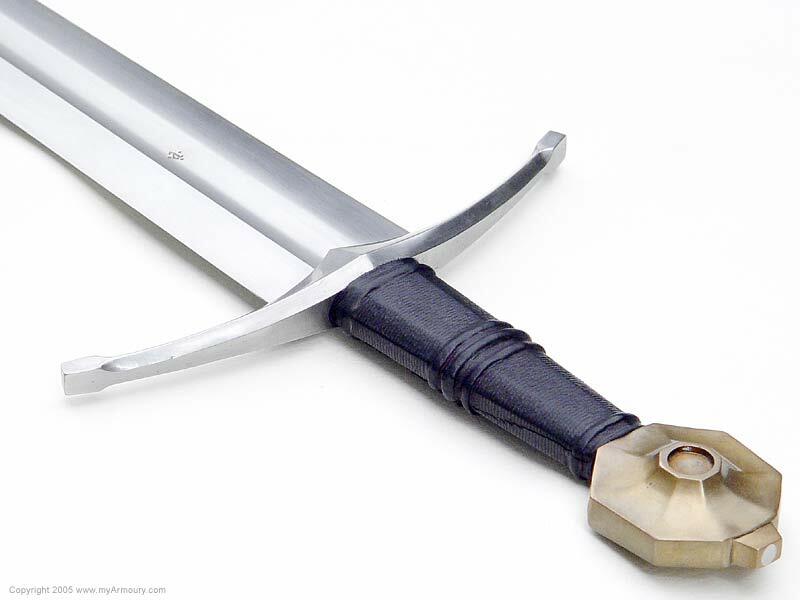 The pommel and cross were inspired by sword XIV.6 in Oakeshott's Records of the Medieval Sword. 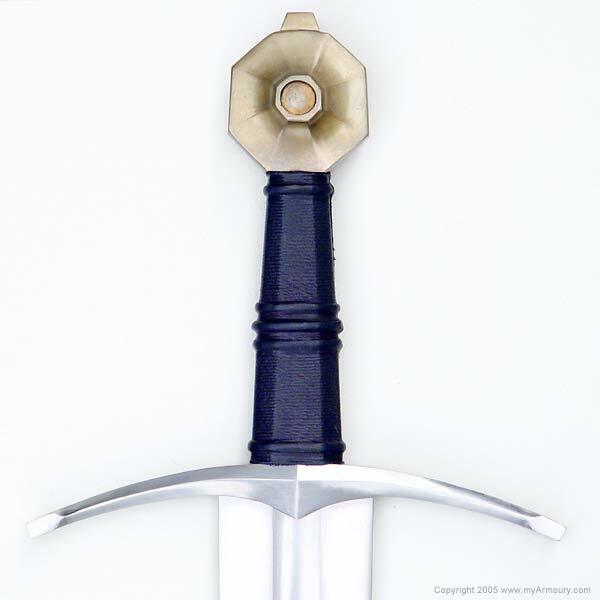 The grip is stabilized birch with a set of three central risers and covered in navy-blue leather. 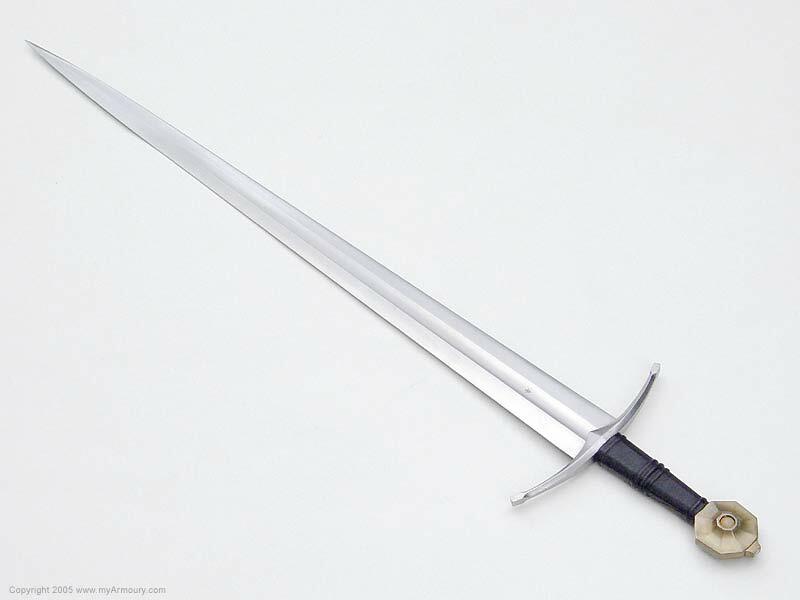 Blade: 32" long; 2.125" wide at base, tapering to .5"